Registration is now open for our annual conference which will return to Broomfield, Colorado February 6-9, 2019! Our conference features one full-day dedicated solely to new, original research from experts in the field. 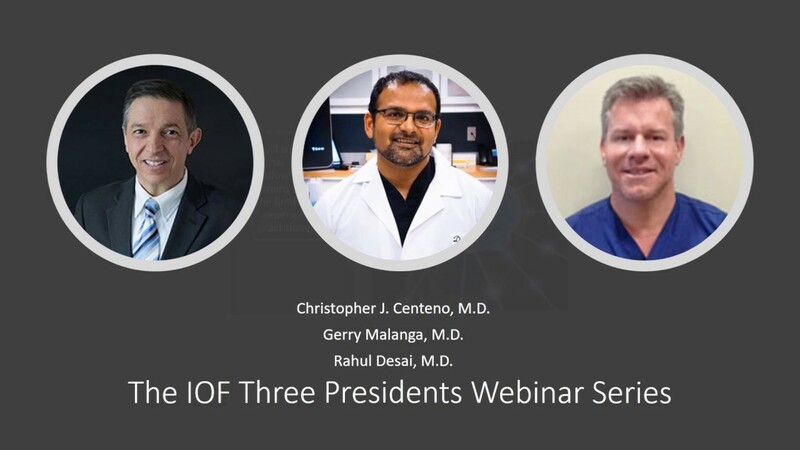 To help get you excited for IOF 2019, we’ve asked three of these experts (and Interventional Orthopedics Foundation board leaders) to share the top ten things they wish they knew when they began their work in three different areas of interventional orthopedics. The series kicks off on Monday, October 7 from 5:30-6:30 p.m. Mountain Standard Time (MST) when Dr. Christopher Centeno, IOF board chairman, will share with attendees the top ten things he wishes he would have known when he began using bone marrow concentrate in 2005. Click here to register for Dr. Centeno’s presentation. 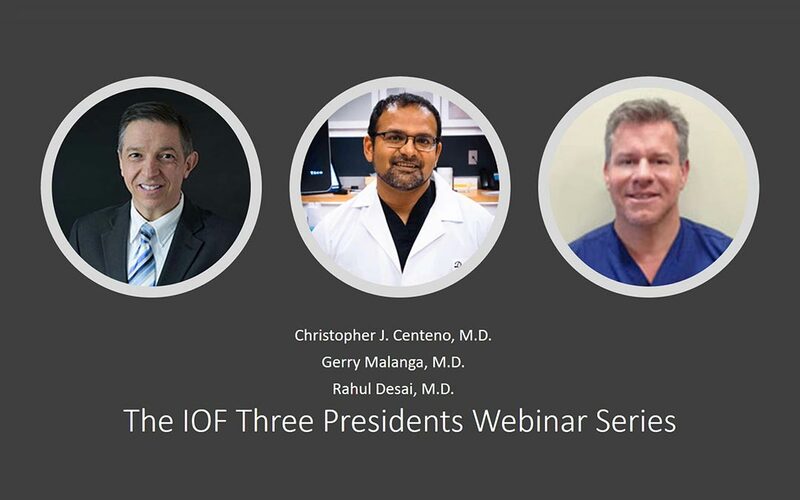 On Monday, October 22 from 4:30-5:30 p.m. MST, Dr. Gerard Malanga, IOF president-elect, will present on the top ten things he wishes he would have known about microfragmented fat. Click here to register for Dr. Malanga’s presentation. The series will wrap up in November with a presentation from Vice President-elect Dr. Rahul Desai about what he wishes he had known about amnion injections. Registration for Dr. Desai’s presentation will open soon! Each webinar will include an extensive question and answer portion to address any questions attendees may have about the topic. Registration for the webinar series is free.